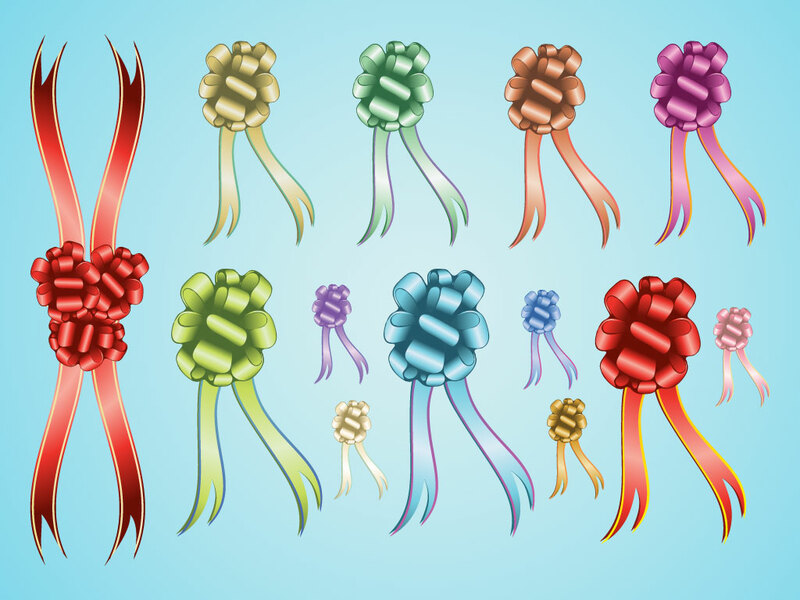 This vector set comes with two different styles of ribbons in twelve different color schemes. A perfect graphic for holiday or celebratory projects. Download as AI and PDF for your decorative graphic library. Tags: Decoration, Festive, Gift, Give, Holiday, Present, Ribbons, Satin.